This is the right technique! No commitment—not even the one to your SO—is as binding as that of the belay. When you hold the rope, your partner’s life is in your hands. 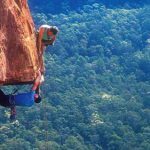 Screw up this marriage and you give new meaning to the vow “till death do us part.” In the past, the belayer/climber partnership was indeed much like a marriage, with each partner climbing almost exclusively with the other. Today, however, we “swap” belays with almost anyone who is at hand, sometimes with mixed results. 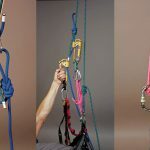 Although many new climbers learn to belay in gyms, using assisted-braking devices such as the Grigri, belaying will never be foolproof. In fact, the way many of us climb today promotes sloppy belaying. When you are in the cozy atmosphere of an indoor gym, with its bomber bolts and padded floors, and the emphasis is on getting a good burn, it’s disturbingly easy to neglect the fundamentals of belaying. When you go to the crag, a decisively less forgiving arena than the gym, your bad belay practices can exact a hard lesson. 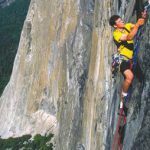 “A lot of people assume that if the rope is going through the device, then the belay is good, when in fact it is not,” says longtime climber Kurt Aronow, who became alarmed when he noticed that about half the climbers at a local gym employed technique so poor the leader was hardly even on belay. Wrong! For a standard plate-style belay device to lock, the brake side of the rope must be held at an angle. However, holding the ropes parallel (above) is a commonly taught technique despite the fact that this position cannot hold a fall! 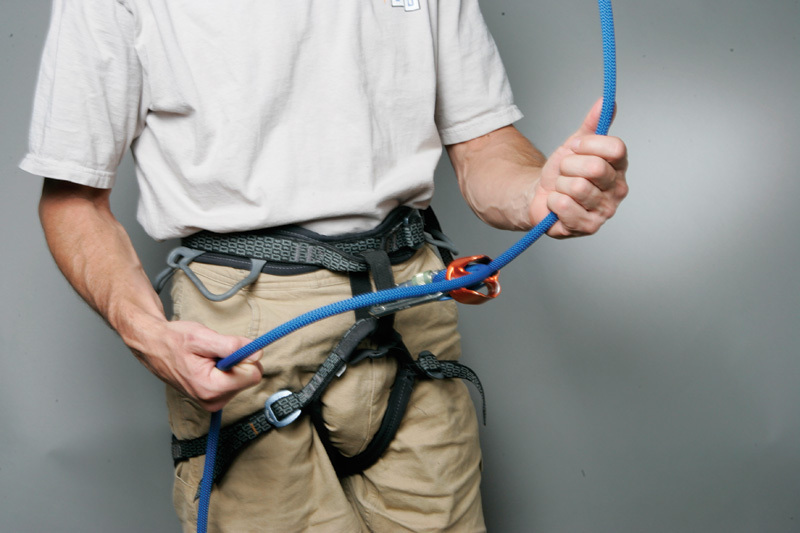 Although commonly taught and practiced in the United States, the belay technique of holding both strands of rope parallel, in front of the belayer, “is the most dangerous way to belay with any type of plate device,” says AMGA rock guide Adam Fox. Up to 80 percent of Fox’s students, he says, come to him having learned this improper belay technique. For a plate-style device (such as an “ATC” or “Tuber”) to lock, the braking side of the rope must be pulled back at an angle. When the rope goes straight in and straight out of the device, as it does when you hold both sides of the rope in front of you, the device may not lock. Try this quick test to see for yourself: On the ground, rig the rope through your plate-style device, and hold both strands, parallel to each other, out in front of you. Grip the rope just as you would do if you were actually belaying. 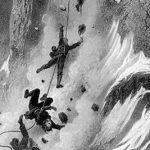 To simulate an unexpected fall, close your eyes, and have a friend yank hard on the “leader” side of the rope. The burning pain in your brake hand, caused by the rope whipping through the device proves the shortfall of this technique. Much of the time you can anticipate a fall and, even when you hold both ropes parallel, can swing your brake hand to the side and properly catch the fall. But, when the leader takes a surprise fall, such as when he is climbing out of sight, you may not be able to pull the brake hand back in time. Then, the leader will either take an unnecessarily long fall, or even hit the ground. The key to a proper belay is to keep the brake hand off to the side of the device, so the brake side of the rope angles into the device. 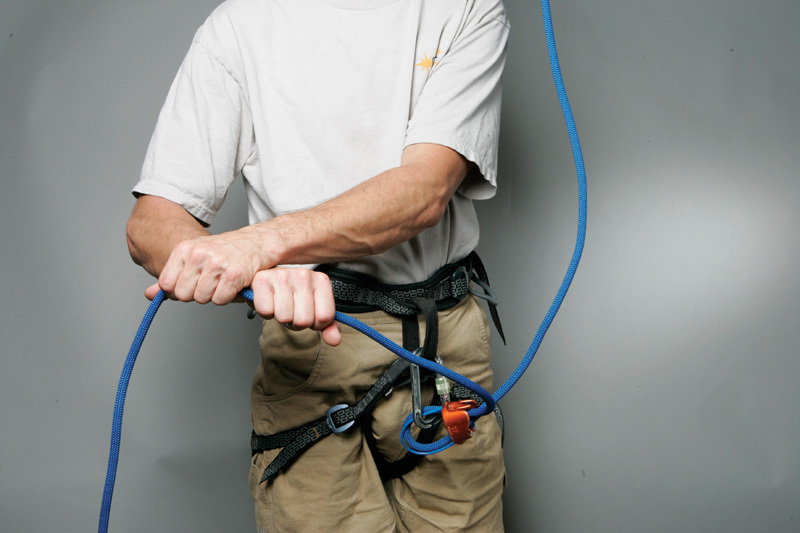 In this position, as long as the brake hand grips firmly, the device can cinch down on the rope. To verify, try the simple belay test you took a moment ago. Positioning the brake hand off to the side makes catching unexpected falls a cinch. 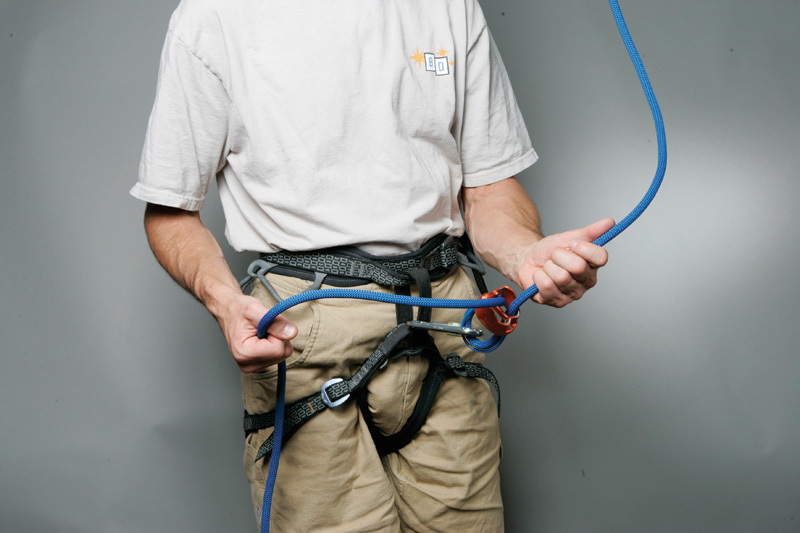 This belay technique, like any, only works when the brake hand grips the rope. 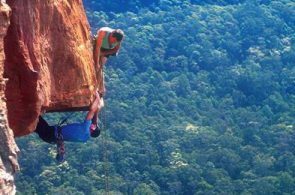 Unfortunately, out at the crag and in the gym you often see a belayer feeding out or taking in rope in short tosses, opening or even removing his brake hand to reset it. If the climber falls while the belayer’s hand is loose or off the rope, he probably won’t catch the fall. The single most important tenet of belaying is to never let go with the brake hand. To avoid the temptation of loosening or releasing your grip, keep your brake hand near your body. When your brake hand drifts away, holding the rope becomes awkward and you are inclined to remove and reset your hand. Bad! 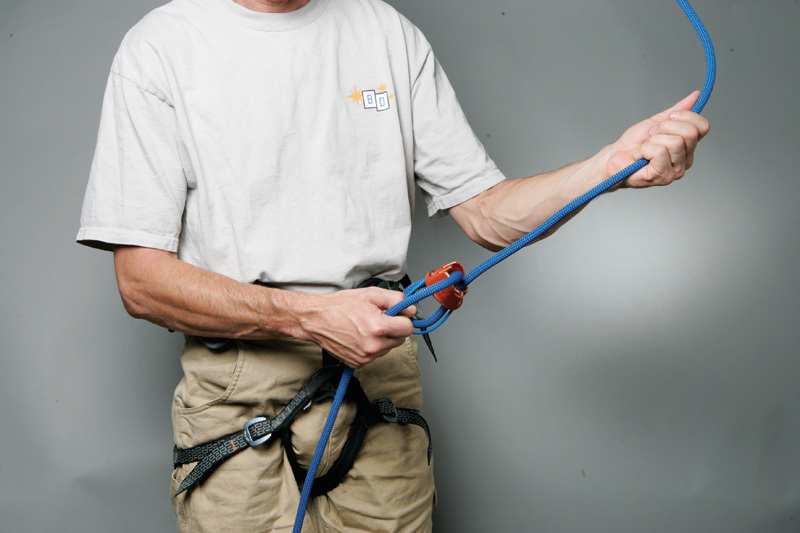 Use the following steps to belay correctly. 1. Position your hands on the rope so the guide hand is on the side of the rope that goes to the climber. Hold your brake hand firmly on the braking side of the rope, and off to the side, a comfortable distance from the device. 2. Pull slack through the device with your brake hand. Keep your brake hand closed around the rope, and aim for frequent small moves rather than long pulls. Your guide hand should loosely grip its side of the rope, and assist the brake hand by simultaneously pulling in rope. 4. 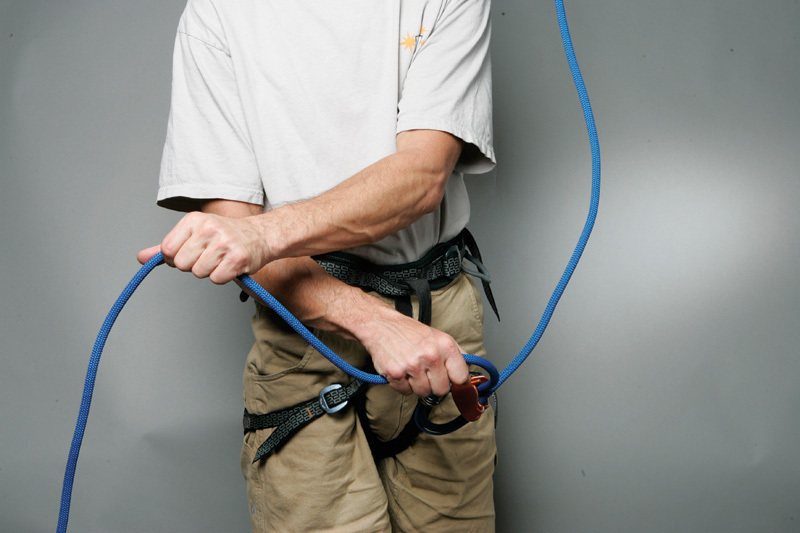 Grip the rope with your guide hand, and quickly slide your brake hand closer to the device. 5. Return your guide hand to the guide side of the rope. 1. Position your hands on the rope so the guide hand is on the side of the rope that goes to the climber. Hold your brake hand firmly on the braking side of the rope, and off to the side, a comfortable distance (usually about a foot) from the device. 2. 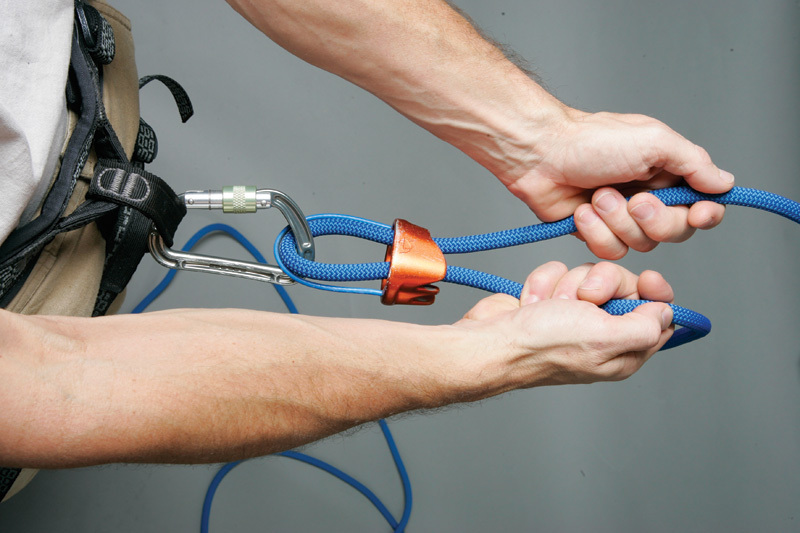 Use your guide hand to pull slack through your belay device, toward the climber. As you pull slack, your brake hand, which still grips the rope, will be pulled toward your belay device. When your brake hand nears the device, you’ll need to reposition it. 3. Remove your guide hand from the rope, and place it on the braking side of the rope, outside your brake hand and about a foot past it. 4. Slide your brake hand down the rope until it butts into your guide hand. Taking in and paying out rope—automatically, and without once opening or loosening the brake hand—is awkward at first, but comes naturally with practice. Brush up on these techniques on the ground, before you belay someone. › Although most devices work similarly, the nuances of each can differ just enough to cause you to make a mistake. Pick a device that you really like, and always use it. › Always tie a knot in the free end of the rope, or have the belayer tie into the end. 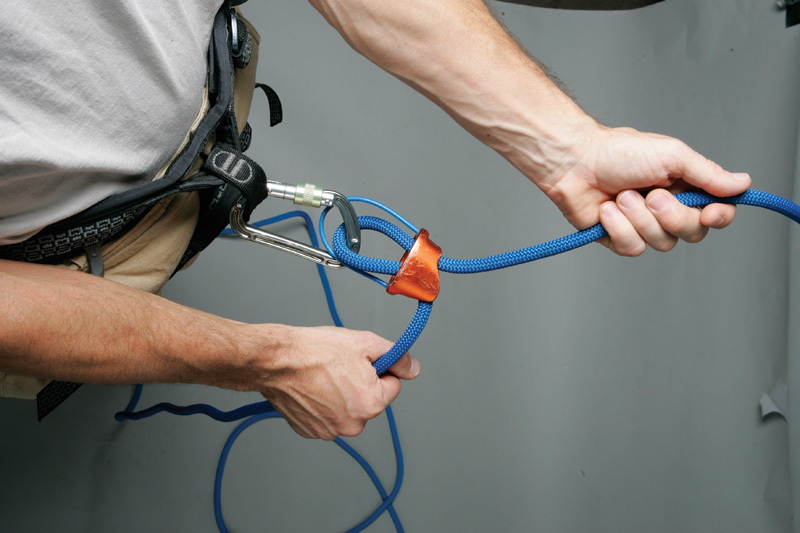 This simple step will prevent the climber from being lowered off the end of a too-short cord. 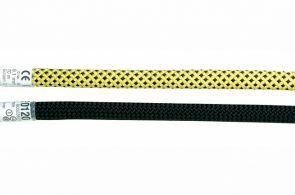 › If the belayer needs to lock off the belay, tie an overhand figure-eight knot in the brake side of the rope. If the climber weights the rope, the knot will jam into the belay device, locking it. › Establish a set of belay commands that both belayer and climber understand. › Keep your eyes on the climber. 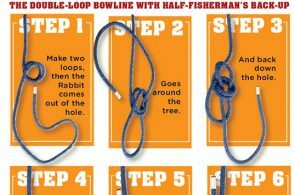 Pity the double-loop bowline—it’s getting a terrible rap. 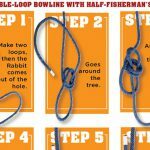 In its defense, the double-loop bowline—the only knot that is truly easy to untie after a fall—has worked flawlessly millions of times for climbers and sailors worldwide. Yet, if the knot is causing accidents, maybe we should rethink it. Let’s examine.